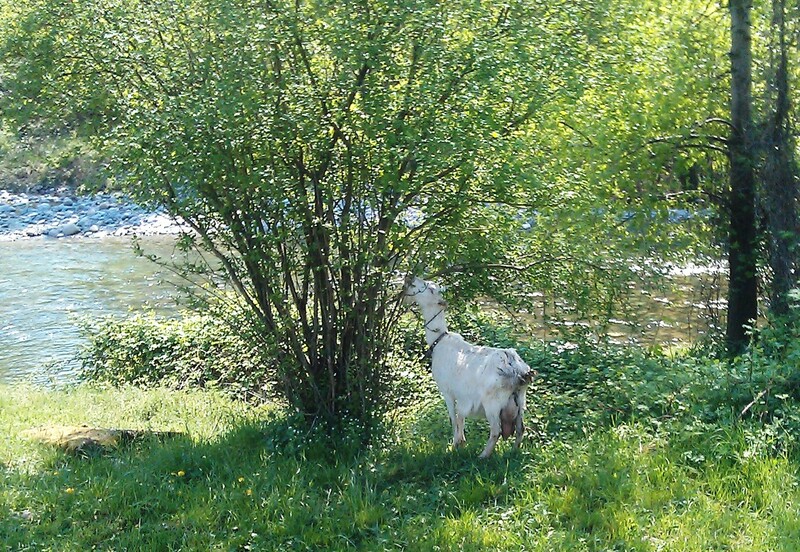 I stopped and chatted with a nomadic pastore this morning as he grazed his flock along the river. Well strictly speaking he, being nomadic, stopped to chat to me! 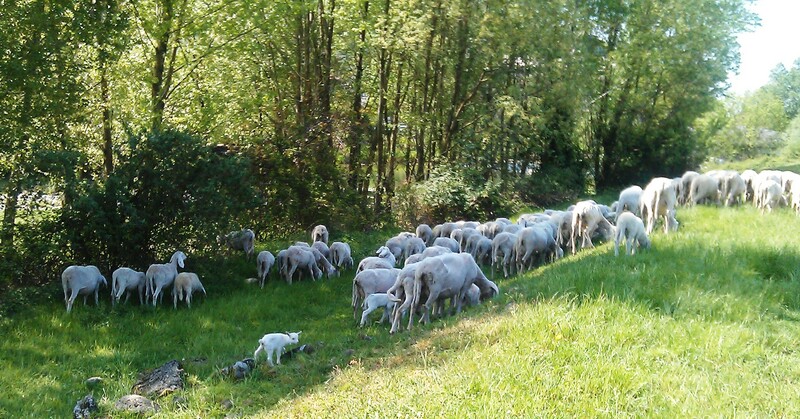 We talked sheep and finding the best pastures – one of us quite a lot more knowledgeable than the other! 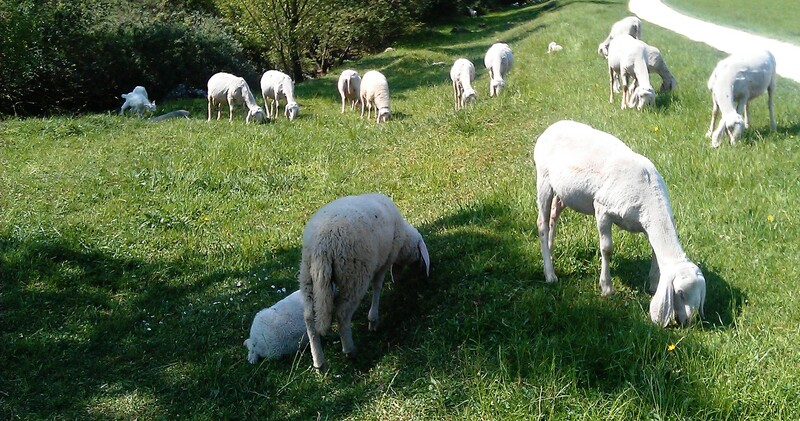 He and his dog are slowly shepherding their goats, donkeys and the lovely floppy-eared Bergamasco sheep with their 2 week old lambs towards the mountains, hoping to be up in the alpine malga in a few weeks time. He’s making the most of the beautiful warm spring weather – life’s pretty tough otherwise for these guys and as he points out, the pay’s rubbish. However, he does manage to make goat and sheep cheese as well as getting offerings of food and bottles of vino on his travels…..and as he says….you’ve just got to keep moving, keeps you healthy! 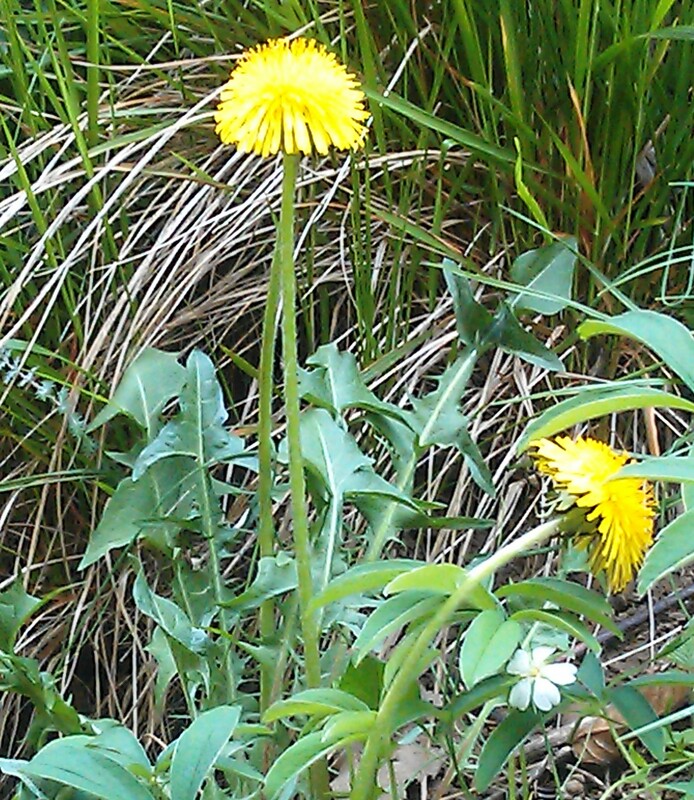 I continued my walk back home picking dandelion leaves along the way. All this talk of goat cheese made me want a cheese sandwich and I thought I’d make it with dandelion leaves…..these are the very leaves I picked! However, this is not the very goat I got the cheese from…..it was sitting in my fridge at home…the cheese that is. So for anyone who would like a new idea for a sandwich…. 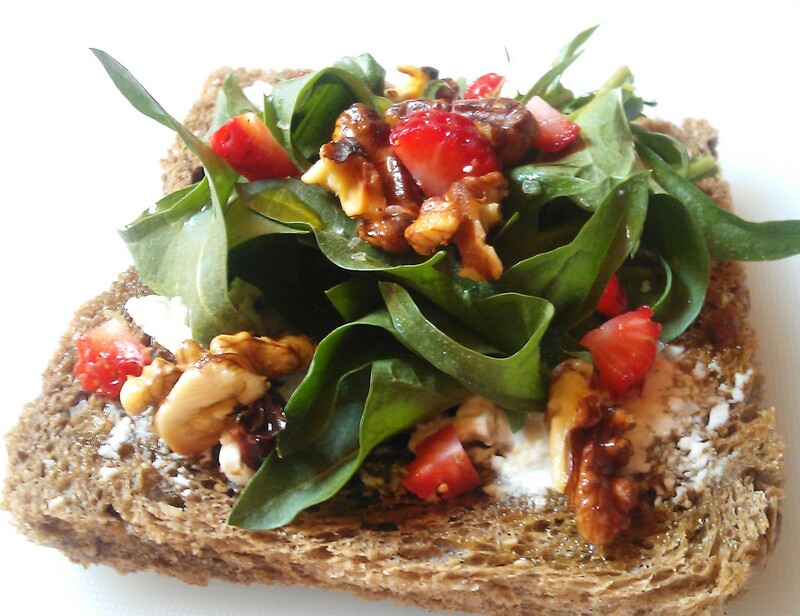 Local goats cheese on home-made seeded rye bread topped with dandelion leaves, toasted walnuts and diced strawberries….and drizzled with cold-pressed olive oil. 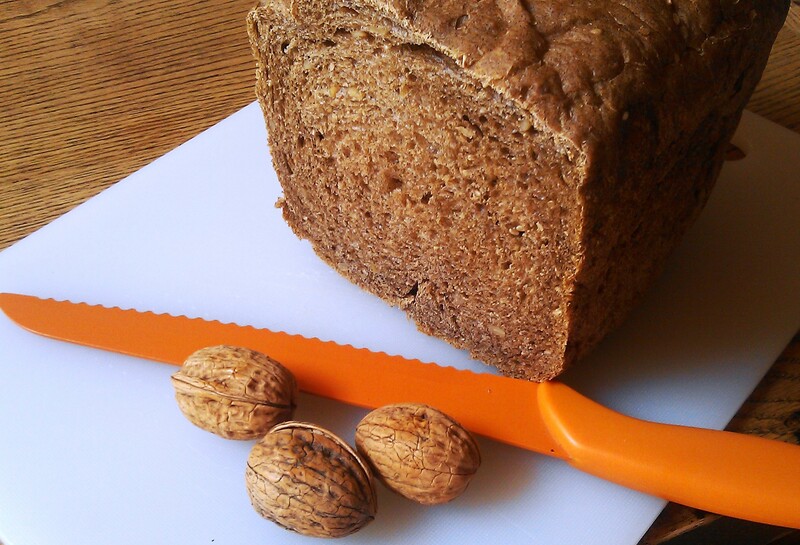 Slice some good bread – our lovely Ukrainian friend had just made us a wonderful seeded dark rye loaf so this was perfect. Drizzle a little more olive oil and sprinkle with a pinch of sea salt. Wonderful photos! I’m going to hunt down some dandelion leaves today!